I've read To Kill a Mockingbird many times. 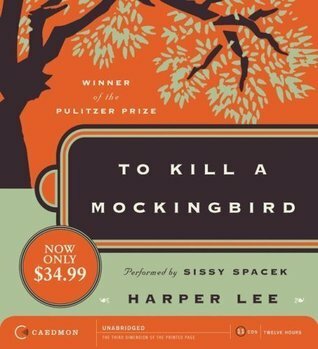 I probably wouldn't have been ready for another reread if it weren't for I Kill the Mockingbird, which I read and adored a few months ago. As I wandered the library stacks a couple of weeks ago, I spotted this audiobook on the shelf and had to listen. I don't know if I would go running for another book narrated by Sissy Spacek, though. Her southern twang was not a good match for my Yankee ears. However, that does nothing to detract from the beauty and the depth of this book. Listening to this at the same time as we've had all this unrest in America made it all seem that much more meaningful. First, you think that what happened to Tom Robinson couldn't happen in America today. In fact, if you ask that poor girl from the University of Virginia, she'd certainly agree. Then, you see what's been happening in Ferguson and New York City and so many other places and you start to wonder just how far we've come. The peaceful protests happening all over the country with so many people and organizations coming out and making themselves known and heard seems like a step in the right direction. Not the looters and burners and violent acts, but the others, the students on campuses and in major cities all over the country, and the professional athletes using their status to quietly make their point. Joss Whedon tweeted this link the other day: It is powerful and sad. I'm torn between wanting every woman of color to make sure her sons know all of this and act accordingly to save their lives and being so appalled that it should be necessary. Okay, I've digressed enough for the moment, back to the book. I imagine that I am supposed to be trying to reach an Atticus Finch-like state of being, but most days I feel more like Scout at the beginning of the book. In fact, at that age, I was a great deal like Scout. Not a tomboy, because I was just as happy playing with my dolls as I was climbing trees with the boys. But, I had strong opinions and a very set sense of self and self-worth. I read the Sparknotes for this book, just to see if there was any interesting information to glean from them. I don't recommend them, they read like they were written by a child and seemed to miss some important things. Yes, Atticus Finch was ordered by the court to represent Tom Robinson. This didn't mean that it was just his turn or a fluke or some kind of punishment. The judge knew that Atticus would fight a good fight and do everything he could to defend Tom Robinson. It was a sign of respect to Atticus and the best that could be done for Tom. I think the thing that Ms. Lee did best was to portray the locals with all of the complexities, human frailties and strengths that are innate in all of us. This is sort of a sequel to Code Name Verity and it certainly lives up to its predecessor. I found Verity to be thrilling, harrowing and life-affirming, which considering Verity's fate, is a smidge ironic. I was impressed by all of the research Wein did on the girl pilots of World War II and how she crafted such a thrilling tale utilizing the new knowledge. Rose Under Fire is the story of Rose Justice, an American teen who has managed to get herself a piloting job with the British RAF, transporting planes. Rose befriends Maddie, the grieving friend of "Verity" and the two grow to be very close. While flying a plane to be repaired, she finds herself in the wrong air space and she is captured by the Germans and taken to the infamous Ravensbruk concentration camp. There, the girl has to learn to survive. She is not a combatant, or a spy, she's not even a Brit, but she is still the enemy. She spins daydreams where she is rescued by her pilot boyfriend and leaves all of this behind. Rose is sent to the barracks of a group of Polish prisoners, and the women take her in and protect her. She soon learns that they are the "rabbits", women who were cruelly experimented on by the camp doctors. In an effort to determine how much it would take to kill a German soldier, they shot and sickened and chopped up these poor girls. They would be cut and then have infection packed into the wounds to see what would happen, just for starters. The ones who didn't survive were remembered as a chant by the others. The idea was to get their names out there and make sure that when the war was over, the Germans would not be able to get away with their treatment of the young women. They believed that publicity would get them freed/saved whatever atrocities the Germans had planned for them. Rose and the rabbits work together to try and ensure a future for each other. They find ways to keep each other warm and fed and protected from random, and not so random violence. Once again, Wein did her homework and brings readers a story that illuminates a dark time in our past. You should absolutely check out her website and click on her resources. She's got information about the camp and photographs and information about the rabbits. Rose is a "gosh and golly" teen from Pennsylvania Dutch country who finds herself in a horrible position. Wein gives us a naive girl, struggling to survive and learning a lot about herself and the world in the process. I think this may be an even more moving book than Verity. Also, Wein gives us a glimpse into something that we tend to lose sight of in an us/them world. In every war or battle, all of the combatants are people. The people who are defined as your enemy may feel the same way you do. It makes me sad. I love when I can hear the stories of people who got passed all of that, enough to discover the humanity in each other. This book made it into this year's Tournament of Books, only to be knocked out in the first round by Ruth Ozeki's A Tale for a Time Being. I haven't read the Ozecki yet, despite checking out from the library twice. I will, eventually. You may remember Hamid from his Reluctant Fundamentalist. This time out, he presents us with an unnamed protagonist and his struggles for wealth and power. 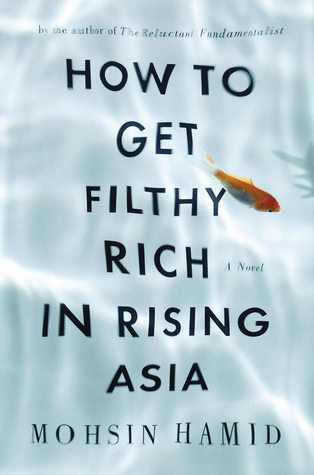 Using the guise of a self-help book, each section shows us a different step our protagonist took to, well Get Filthy Rich in Rising Asia. We first meet a young boy and his expanding family. They move from farmland to the city, where they share a room and live in squalor. The older children are married off or sent off to school and work to help support the family. Our protagonist falls for a pretty girl in school and we follow as the two cross each others paths as their stars rise and fall. Our guy starts his work delivering pirated videos to customers around the city. He gradually moves up into the bottled water business, making a name for himself in many circles. (We, the readers, however, apparently aren't in any of those circles). We then follow him through his life as he ages, grows a business, cheats and gets cheated, falls in and out of love, and moves slowly toward his last days. I found the book to be interesting and I couldn't even begin to relate to a single one of the characters. I can't even imagine living a life like the ones we're introduced to in this book. Here are people who are foreign in every sense of the word. The struggle to survive is just as fascinating as the struggle to thrive. What happens when you go from abject poverty to "living the dream?" And, whose dream is it, anyway? What happens when the dream isn't ever like you dreamt? 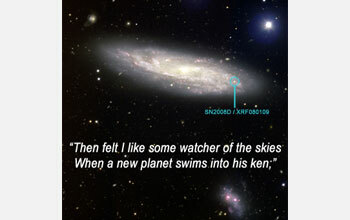 This is a book that stays with you, during your non-reading hours. I wondered about these people. I wondered about real people living these lives. I know they are out there. I can't imagine enduring all they did to get anywhere in the world. I don't think I can adequately explain this book. There is so much going on and it gets pretty deep. You should just go check it out for yourself. COYER Summer Challenge ... and All the Stuff I Didn't Do this Spring. So, I'm over a week late posting this, because time just gets away from me. I've come to the conclusion that I will never be a juggler. I can't keep multiple balls in the air and I certainly can't have too many projects/interests/hobbies/schemes, either. I've been A.W.O.L. from blogging and I've got so many little projects going on and I'm doing a completely crappy job of all of them. My father and my brother were always good with the laser focus on one thing. With my dad it could be chocolate chip cookies, or cars, or tanning. My brother was big with picking one thing and being unable to think of anything else. In high school he took up BMX racing. His rank went from a high five-digit number to a single digit number in less than a year. It felt like my mom and I did an awful lot of transporting of pimply faced teenaged boys and their bicycle to dirt tracks all over the state. It was video games for a while, and 9-ball pool, among other things he had a single minded focus on and worked to get to the top. My mom, she could do anything and everything and always get it all right. I love new things. I get new interests all the time. There just aren't enough hours to really devote to any of them to succeed in them at all, no less multiple things. I want to reorganize my kitchen, laundry room and living room. I've been expending a lot of my time loving and mothering my mini Schnauzer puppy, Greta. I must be doing okay, she is a happy healthy six months old today. It's going to be close to 100 degrees one day this week and I still don't have all of the winter clothes put away. I haven't checked in with anyone on Facebook in ages. I have a half dozen composition books filled with recipes and ideas that I've been compiling. If you've ever seen the crazy amount of book links I collect online, they are only a fraction of the bookmarks I've got saved. I can't even tell what half of that stuff is or means anymore. I drag myself out of bed in the morning. That adorable little dog, who is quite capable of sleeping through the night, insists upon waking me multiple times. I get ready for work, I take care of the dog, I water all of my growing things. Even though we have a sprinkler system, it doesn't really get the potted plants. I fix my tea and my yogurt and go to work. When I get home, I have to empty the dog, water the potted plants and vegetables, fill the dog back up, do a load of laundry, figure out dinner, clean up the kitchen, etc. The day is a blur and so is the night. I know there must be better ways to utilize my time, I just can't figure them out. Lately, by the time I get into bed, I'm so tired that I barely read a chapter and am down for the count. It's very sad. My goodreads book pledge has dwindled from being 8 books ahead to one behind schedule. Almost all of my reading has been done for me in the car on my way to and from work. I'm dozens of book reviews behind and I haven't even read any real crap. When I saw that there was a new COYER coming up and it was going to last for the summer, I jumped right on that. My nook hd+ is barely functioning, it is so filled with books. I keep sending everything I'm not reading or using to the cloud and every time I turn it back on, dozens of books and apps have rained out of the cloud and back into my nook. Then there are the hundreds of kindle books on my nook. It's completely out of control. I've been cataloging my e-books and trying to come up with a way to make a real plan to read the books and get rid of all the crap.Originally, I was going to do it chronologically. But there are so many good books that I've put in there kind of recently and I don't want to have them get all old and stale on me. So, I think I'm going to read an old book and then a new book to get things cleared out. So, that's my story. I'm going to get my blog back in order and clean out my e-reader all in one fell swoop. I'm taking two weeks of vacation this summer and my wonderful sweet husband will just be taking extra long weekends with me. That will give me some more time to devote to the things I'd like to get done. Cross your fingers and wish me well! I've got so much to share with you, I promise to get going on that right now! Which bards in fealty to Apolo hold. This is another poem I've had memorized since high school. The English teacher who had us memorize poems, soliloquies and passages from famous works was an incredible pain at the time. I have a great deal of appreciation these days, when I have entire poems floating around in my head. The ocean looks like a thousand diamonds strewn across a blue blanket. Maybe I should hold with care,but my hands are busy in the air. My friend assures me "it's all or nothing"
My friend implores me: "For one time only make an exception"
With the status of my emotions "Oh", She says, "You're changing." It seems like I should say "as long as this is love..."